6. George Harper 3. Gerard ? Front Row 1. 2. John Walsh 3. Mary Dowmie . 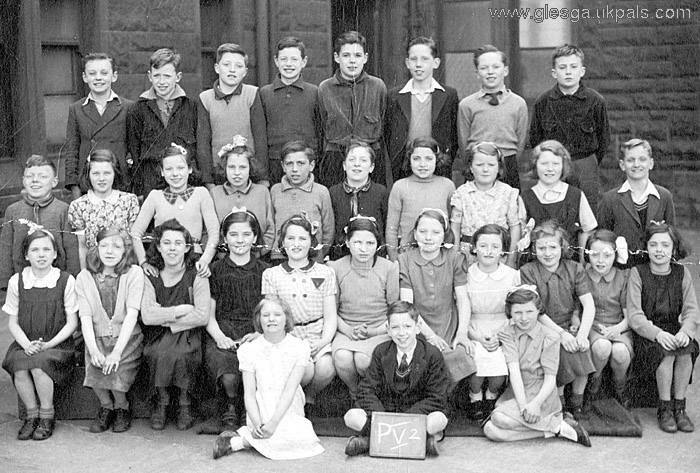 "........A pencil note on the back of the print says that it was the Qualifying Class, and the teacher was Miss Shields, although she is not shown.."
The school photo of St Anne's school Bridgeton c1941. 3rd Row No4, is my mother Maria Faulds.